Complementing the lens itself, the silver Canon EF-M 15-45mm f/3.5-6.3 IS STM Lens with Circular Polarizer Filter Kit from B&H bundles the standard zoom with a 49mm circular polarizer filter. 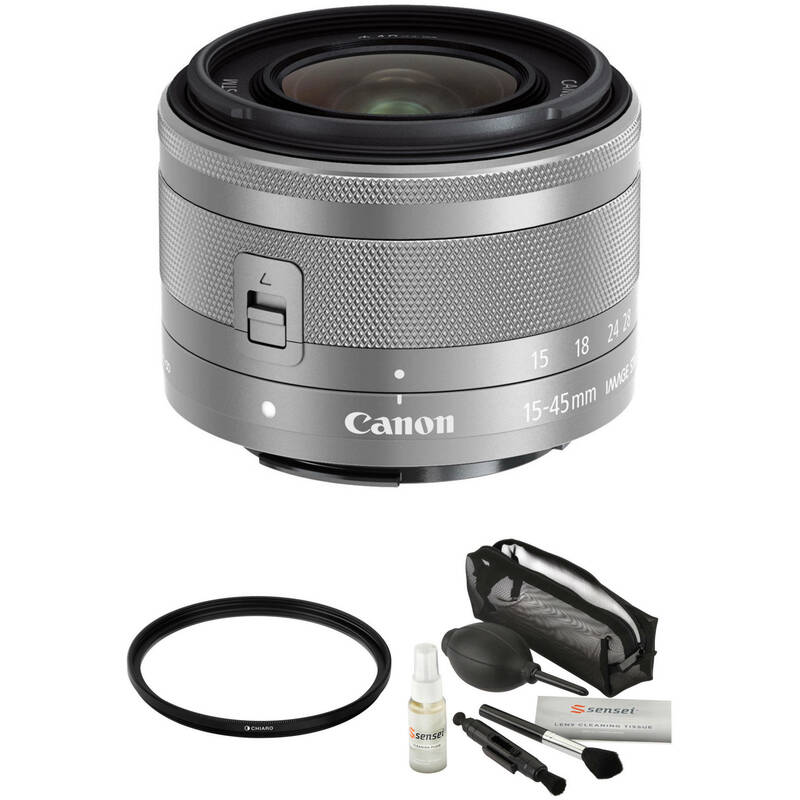 A standard zoom covering wide-angle to short telephoto perspectives, the silver EF-M 15-45mm f/3.5-6.3 IS STM Lens from Canon offers a 24-72mm equivalent focal length range when used with APS-C-format EOS M-series mirrorless cameras. The optical design incorporates three aspherical elements, one of which is glass-molded and the other two are precision molded, in order to control chromatic aberrations and distortions throughout the zoom range. The lens placement has also been optimized, and coatings have been applied, to reduce flare and ghosting for increased contrast and clarity when photographing in difficult lighting conditions.